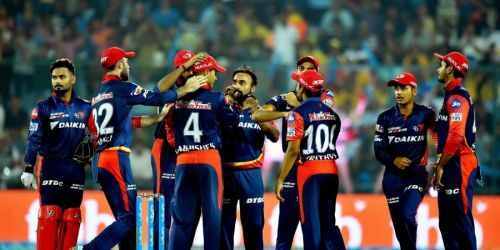 The Delhi Daredevils – now known as Delhi Capitals – have changed their name and appearance as a franchise. They will also be hoping to change their fortunes around with consistently poor performances in previous editions of the IPL. They have released big players like Gautam Gambhir, Glenn Maxwell, Jason Roy and Liam Plunkett which meant they had to find out effective replacements for each of them. The Sunrisers Hyderabad traded Shikhar Dhawan to Delhi Capitals for Vijay Shankar, Shahbaz Nadeem and Abhishek Sharma. Hanuma Vihari was a good buy for them at the auction as he will be required in the middle order to build steady partnerships in case of early collapses. All-rounders Chris Morris and Axar Patel are handy with the bat as well. Looking into their bowling strength, Kagiso Rabada, Trent Boult and Avesh Khan is a fierce attack to start with. It won’t be easy for Batsmen to play early shots especially against Rabada who will be their spearhead. Nathu Singh can be an effective replacement in case of injuries. Chris Morris is an impressive death bowler and Axar Patel can rush through the middle overs as well.